Titmarsh D. M., et. al. 9. 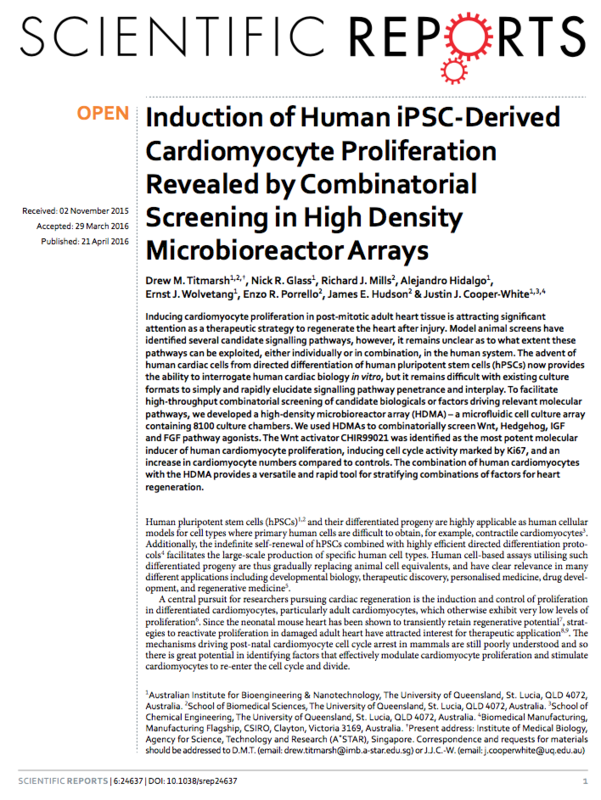 Induction of Human iPSC-Derived Cardiomyocyte Proliferation Revealed by Combinatorial Screening in High Density Microbioreactor Arrays. Titmarsh, D. M. et al. 8. 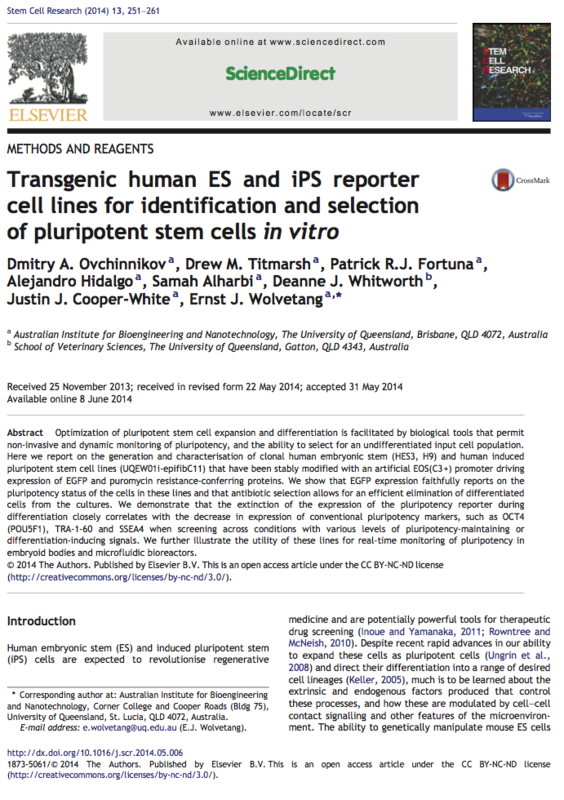 Transgenic human ES and iPS reporter cell lines for identification and selection of pluripotent stem cells in vitro. 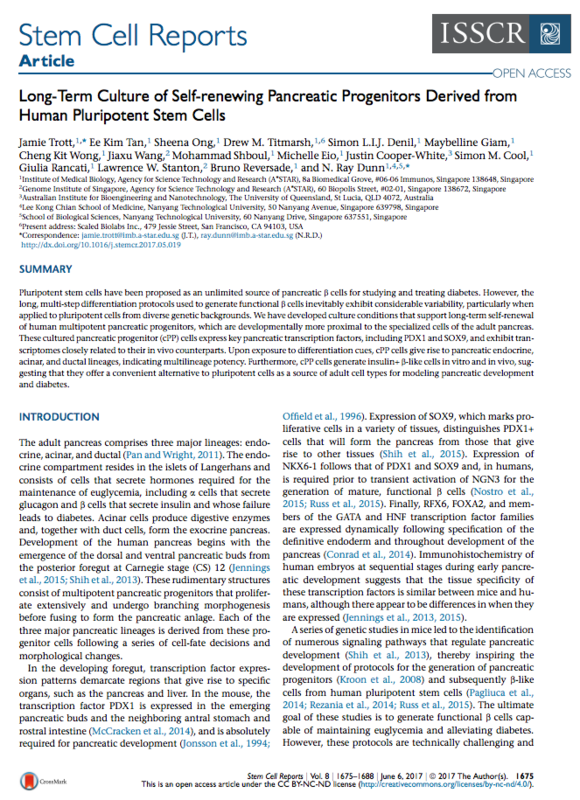 Stem cell research 13, 251–261 (2014). 7. 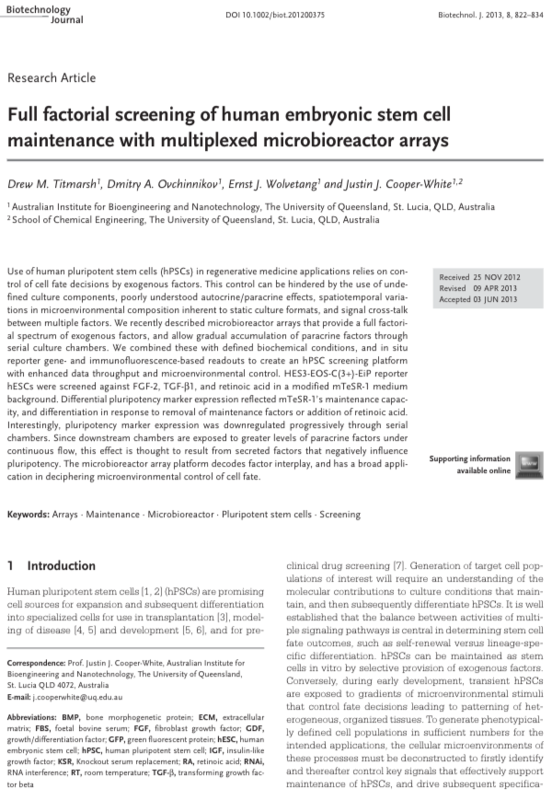 Full factorial screening of human embryonic stem cell maintenance with multiplexed microbioreactor arrays. Titmarsh, D. M., Ovchinnikov, D. A., Wolvetang, E. J. & Cooper‐White, J. J. 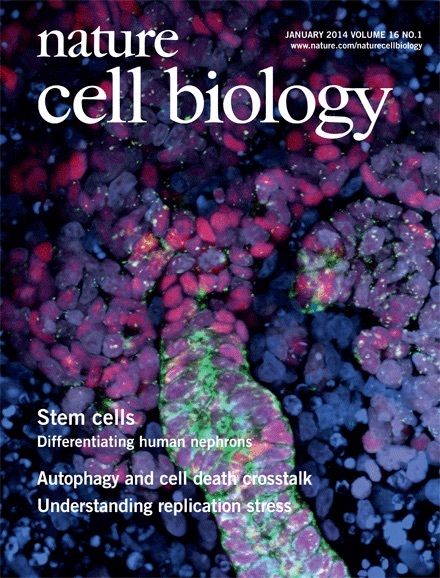 Biotechnology Journal 8, 822–834 (2013). Titmarsh, D. M., Chen, H., Glass, N. R. & Cooper-White, J. J. 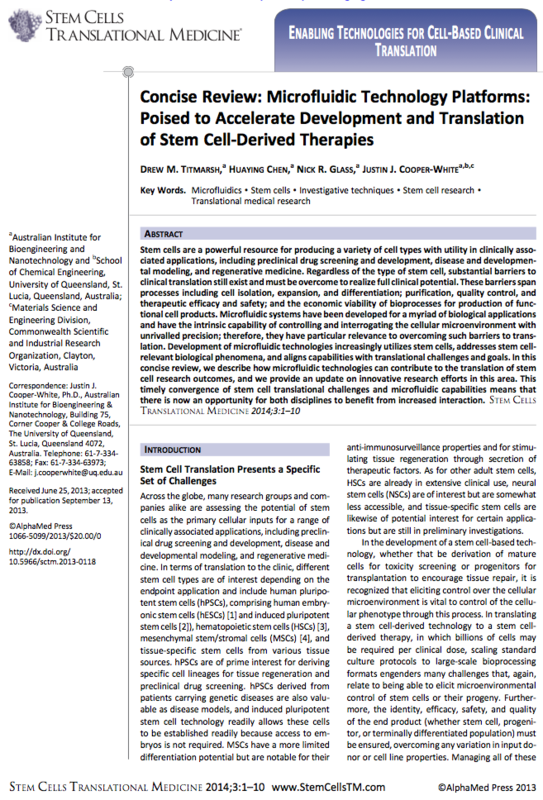 Stem Cells Translational Medicine 3, 81–90 (2013). 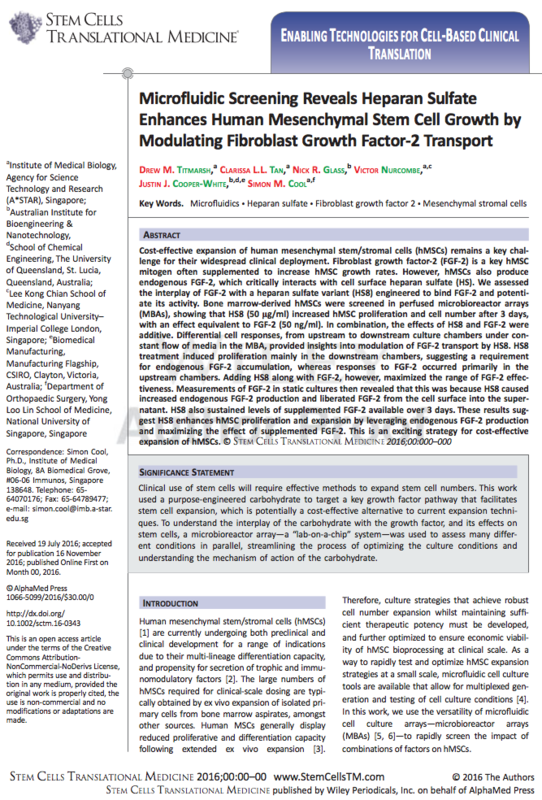 Frith, J. E., Titmarsh, D. M., Padmanabhan, H. & Cooper-White, J. J.
PLOS ONE 8, e82931 (2013). 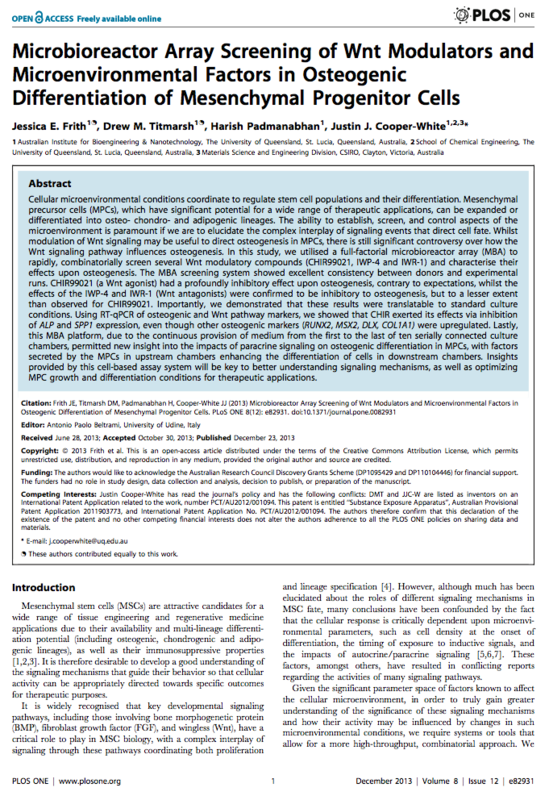 PloS One 7, e52405 (2012). Titmarsh, D. M., Chen, H., Wolvetang, E. J. & Cooper‐White, J. J. 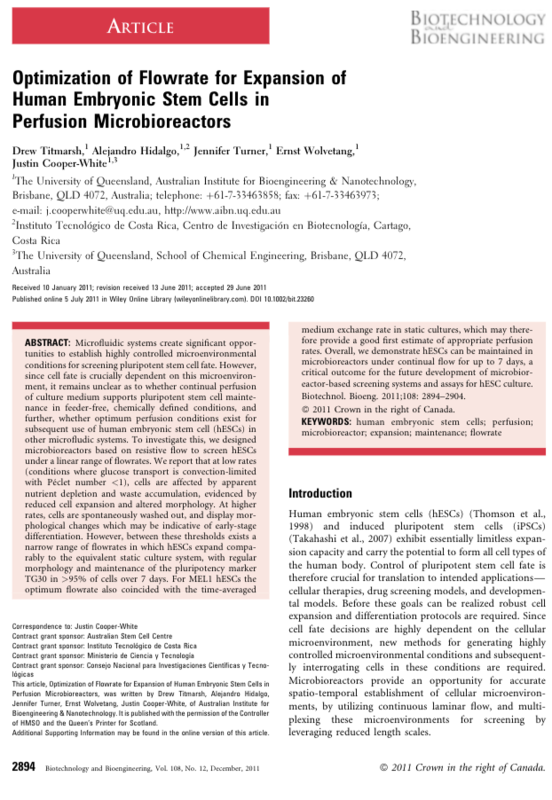 Biotechnology Journal 8, 167–179 (2012). 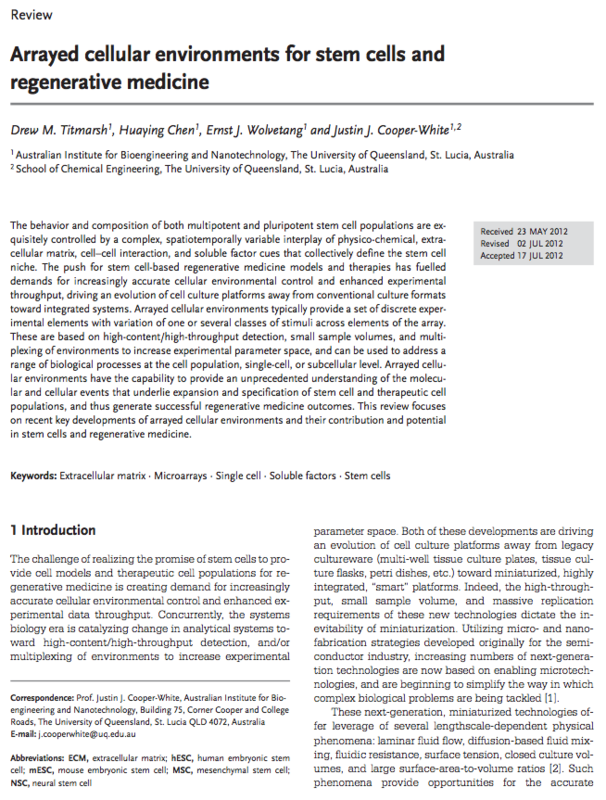 Titmarsh, D., Hidalgo, A., Turner, J., Wolvetang, E. & Cooper‐White, J. 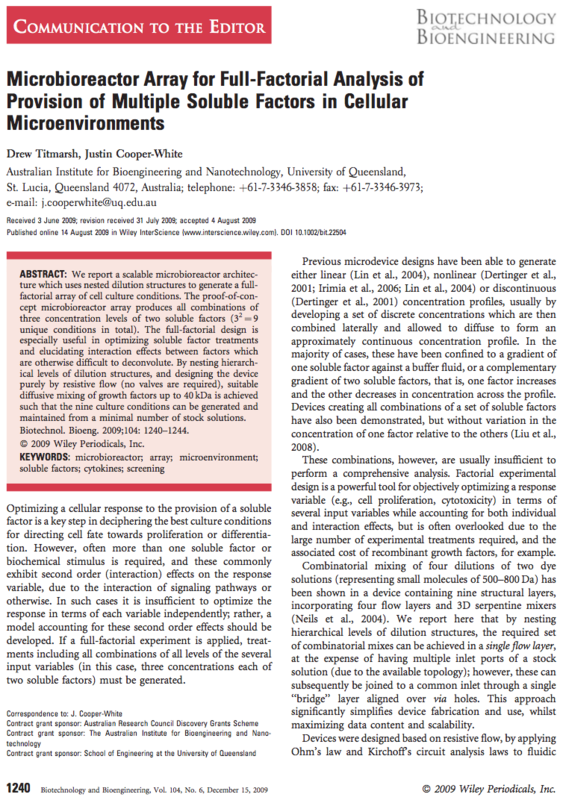 Biotechnology and Bioengineering 108, 2894–2904 (2011). Titmarsh, D. & Cooper‐White, J. 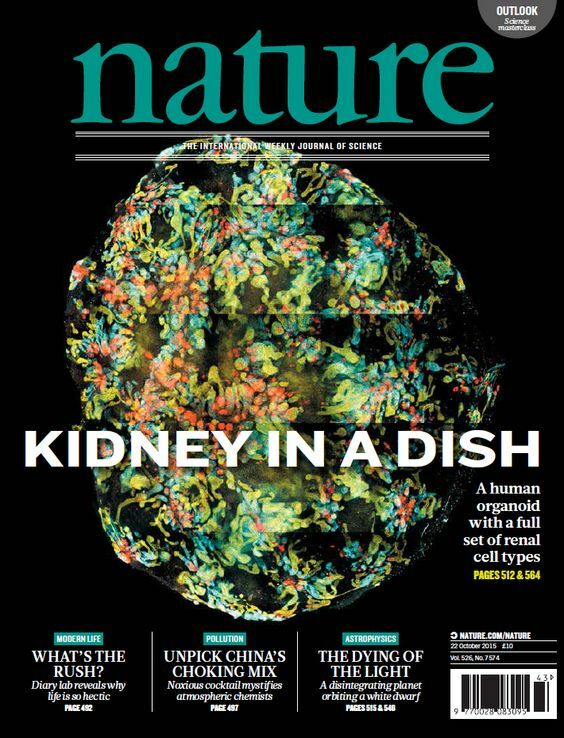 Biotechnology and Bioengineering 104, 1240–1244 (2009).